A drink-driver has revealed how a ban from the road has left her having to pay £50 a day to commute to and from work. 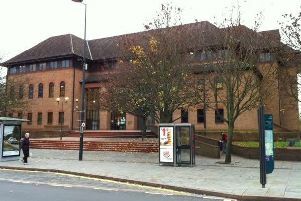 Chesterfield magistrates’ court heard on Thursday, February 9, how Katie Louise Harvey, 27, of Sheffield Road, Killamarsh, had lost control of her Mini and collided with a central reservation bollard and she was registered as three times the alcohol drink-drive limit. She failed a roadside breath test, according to Mr Cooper, and later registered 108microgrammes of alcohol in 100millilitres of breath at the police station when the legal drink-drive limit is 35microgrammes. Harvey pleaded guilty to exceeding the alcohol drink-drive limit after the collision. Defence solicitor David Gittins said Harvey had been to a pub with a friend and her partner and had not intended to stay long but ended up drinking more than she had intended before driving the short distance home. He added that Harvey works as a special nurse at Rampton Hospital where high profile criminals with mental health issues are based. Mr Gittins said that she is so determined to keep her job that since committing the drink-driving offence she has been paying £50 a day for a taxi to commute because there is no public transport. Magistrates sentenced Harvey to a 12 month community order with 80 hours of unpaid work. She was disqualified from driving for 24 months but this ban can be reduced by 26 weeks if she completes a drink-drive rehabilitation course. Harvey was also ordered to pay £85 costs and an £85 victim surcharge.